As I was parking my Leaf today at a charging station, a plug-in Prius (PiP) pulled in next to me. The owner and I started chatting. He loved his PiP. He plugged in at home, at work, and many other places in the greater Portland area. This meant that more than half of his driving was on electricity. One tank of gas had lasted him more than 2500 miles and it would have lasted longer if he didn't drive to Salem. The PiP only has 11 to 15 miles of electric range. Yet even this short distance can move one-third or more of a typical driver's miles to be electrically powered when it is plugged in regularly. I am a plug-in vehicle advocate. One thing I have noticed is that many advocates are passionate about their preferred solution. If they drive a pure electric, then PHEVs or EREVs are horrible, and vice-versa. 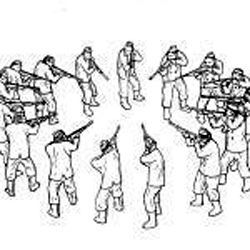 I'm far from the first to notice this, Plug-in advocate Chelsea Sexton refers to this as the circular firing squad and I have seen it in action more than once and even between people that own the same vehicle types but from different companies. I've tried to embrace anything with a plug by using the "any electric mile is a good mile" motto. I admit that I have had my own negative moments e.g., when I see a company's marketing department use these same "we're better than them" tactics, it puts them in a bad light to me. I try to reach out to them and let them know they are damaging the entire sector, rather than helping their vehicle. So maybe a low-speed vehicle or a PHEV with a short electric range would not work well for you, that does not mean there is no one that could use this vehicle. The more options there are in the market, the more people can get behind the wheel of a plug-in vehicle. So next time you are tempted to attack this or that type of plug-in vehicle, stop and ask yourself, is it better than an internal combustion vehicle. 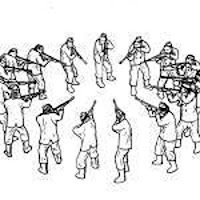 The circular firing squad needs to turn around and know that the other plug-in drivers have their back. There are plenty of other targets for your rage. When all cars on the road plug in, then you can start worrying about which ones use too much gasoline. Until that time, let's try to get more cars to plug in. The perfect should not be the enemy of the good. As much as I'd like to claim I am completely above this fray, I have serious issues with hydrogen vehicles, but that is a post for another day. UM professor appointed to national panel on electric car use: "“It’s not just the cars or the batteries – it’s the things around them from a consumer adoption standpoint,” Mohr said. “It’s looking at the oil and gas companies, the dealer repair companies, the mom-and-pop shops and the power companies. Until you get all those perspectives on the table, you don’t understand what all the barriers might be.”"
Freedom and personal control are deeply ingrained in the American DNA, yet when it comes to powering cars – we primarily depend on a single fuel. Transportation is the last bastion of our society left to embrace electricity. This campaign is the electric utility industry’s commitment to the growing number of people who have embraced electricity as a transportation fuel. This campaign will amplify the voices of plug-in drivers and help spread their excitement with their friends, neighbors, and beyond. The message is simple. Electricity makes driving better: powerful acceleration and torque, a smooth, quiet ride, low lifetime maintenance and predictable, low fuel costs, all from a convenient, guilt-free, low CO2, domestic energy source. 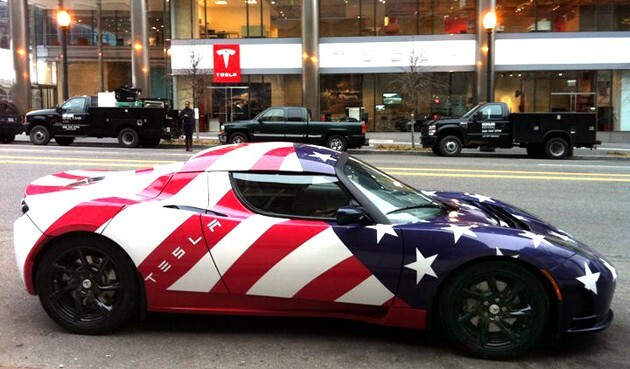 Most importantly, electricity injects fun and freedom back into driving. The sense of adventure and lure of the open road is back, and it’s fueled by electricity. We've been teased by various prototypes at auto shows and in spy shots, but Honda will finally start selling the 2014 Honda Accord Plug-In Hybrid in January 2013."